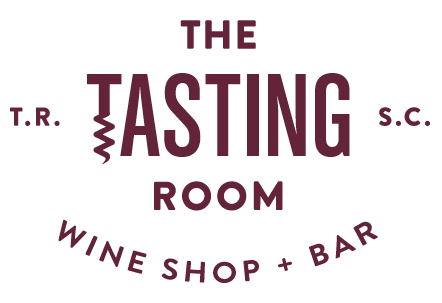 Located in the heart of Travelers Rest, The Tasting Room is a boutique wine shop, bar and venue that specializes in artisan wines and craft beers from across the globe. We offer more than 180 wines and approximately 150 craft beers for purchase, plus a robust selection of by-the-glass wines and rotating beers on draft. Stop by to enjoy our Weekly Feature wines, nibble on some cheese and charcuterie, or attend one of our educational events! Happy Hour: Wed-Fri, 4-6 p.m. $1 off draft beer and $5 glasses of house red and white wine! We are situated in the same building complex as Farmhouse Tacos, overlooking the back parking lot. You can enter directly via the deck, or you can approach from the front of the building by walking down the breezeway to our side door.